SolaRoad as the Dutch solar bike path is known worldwide. In 2014 this innovation was launched as a pilot in Krommenie. Since then SolaRoad has been extensively tested and improved. 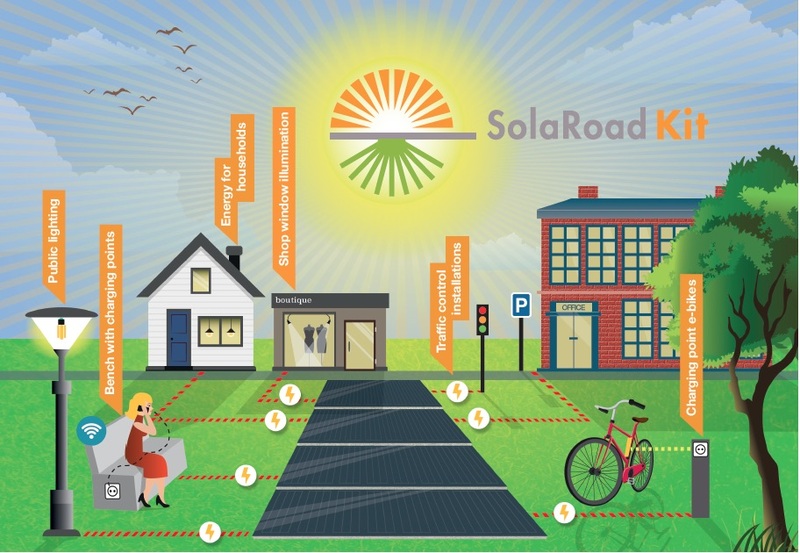 To meet the demand from home and abroad, we’re now introducing the SolaRoad Kit: four elements SolaRoad with an area of 10m² and therefore easily procured and extended by governments and companies. 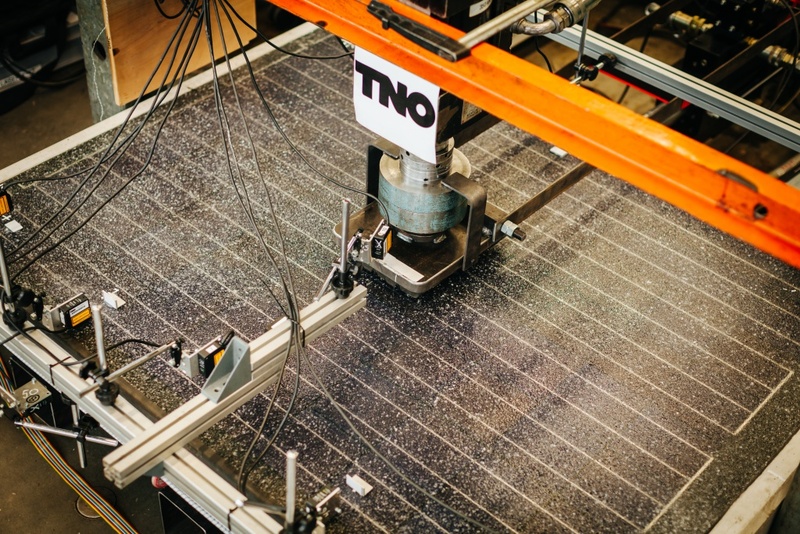 The SolaRoad Kit consists of four elements of 2.5 x 3.5 meters. The SolaRoad Kit delivers approximately 3,500 kWh per year, which is enough energy to power an average household for one year. SolaRoad is an innovative and sustainable energy solution for a business park, a courtyard, a square, a bike path or a footpath. The kit can provide energy for; lighting, illuminating a shop window, heating, Wi-Fi access points or, as now in Groningen, a charging point for e-bikes or mobile phones. SolaRoad Kit is suitable for anyone who wants to contribute to CO2 reduction, to reach the climate objectives and who considers it important to contribute to a sustainable future. The kit fits well with Smart City and Smart Charging targets. For more information, please send an email to solaroadkit@solaroad.nl.